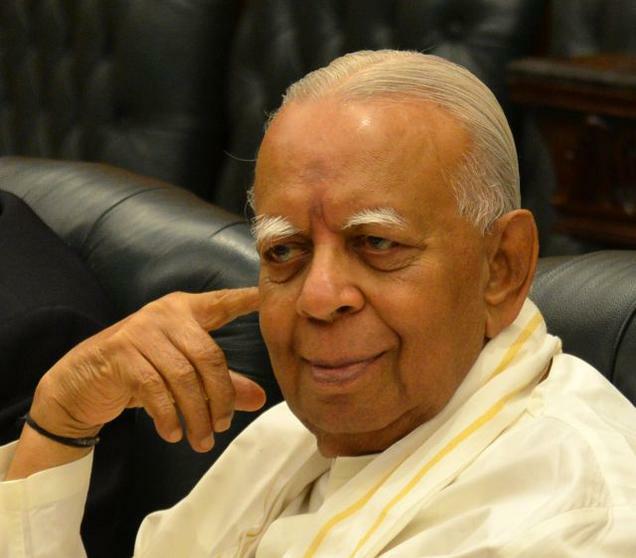 The Tamil National Alliance (TNA) leader Mr. R. Sampanthan was selected as the Leader of the Opposition in the Sri Lankan Parliament by the Speaker, Mr. Karu Jayasuriya. The position of the Leader of the Opposition is traditionally held by the leader of the largest party in the opposition in a Westminster system of Parliamentary government. There is no doubt that leading the opposition by a minority Tamil leader in a country which has a Sinhala-Buddhist majority is a victory of Pluralism. However, is it really a victory of pluralism similar to electing Mr. Barak Obama as the President of the United States by the American democracy? Mr. Obama was elected by the majority of American voters. It was an absolute victory of American democracy and pluralism. Therefore, the American society had a legitimate reason to celebrate their victory without any hesitation. However, when selecting Mr. Sampanthan, the leader of the TNA that has 16 seats in Parliament, to lead the opposition in Sri Lanka a consent was not obtained from the largest Party in the opposition, the United People’s Freedom Alliance (UPFA). In fact, 57 UPFA opposition MPs nominated a different candidate for the position of the Leader of the Opposition and it was not considered when selecting Mr. Sampanthan as the Leader of the Opposition by the Speaker. The reason was that the nomination was not delivered to the Speaker by the leader of the UPFA, President Maithripala Sirisena who promised democracy to the nation, in a deliberate move to allow Mr. Sampanthan to be selected as the Leader of the Opposition. Selecting Mr. Sampanthan, therefore, as the Leader of the Opposition in Sri Lanka is neither a victory of democracy nor a victory of pluralism. Hence, the Sri Lankan society has no legitimate reason to celebrate Mr. Sampanthan’s appointment as the way that the American democracy celebrated electing Mr. Obama as the President of the United States of America. A glance at Tweets on Mr. Sampanthan’s appointment will show that the forces and people who are behind Maithri-Ranil ‘Yahapalana’ government have already started celebrating the Sampanthan factor and projecting the move to appoint him as the Leader of the Opposition as a victory of the Sri Lankan democracy and pluralism. In contrast, forces and people who are against Maithri-Ranil ‘Yahapalana’ government have already started criticising the move to appoint Mr. Sampanthan as the Leader of the Opposition. The question that I attempt to answer is how do these opposing views on the Sampanthan factor would affect the country’s future? In answering the question, I would consider only a few important tasks that were laid before Maithri–Ranil ‘Yahapalana’ government. They are the process of reconciliation, domestic inquiry and intended constitutional reforms. The way that was adopted to select Mr. Sampanthan as the Leader of the Opposition has already sent a negative signal to 47.3 million voters who voted for former President Rajapaksa led UPFA in the recently concluded Parliamentary election. The former President Rajapaksa openly criticised the appointment of Mr. Sampanthan and said that an MP from the UPFA should have been appointed as the Leader of the Opposition. The UPFA won 95 seats and 57 UPFA MPs expressly opposed the move to appoint Mr. Sampanthan by sending a letter to the UPFA leader President Sirisena asking him to nominate a different MP from the UPFA to the position of the Leader of the Opposition. However, Mr. Sampanthan was selected against the will of the 47.3 million voters, the largest portion of the opposition voter base. The move is strong enough in antagonising the UPFA voters and building up their feelings of resentment towards the Maithri-Ranil ‘Yahapalana’ government. Furthermore, it was widely reported prior to the move of appointing Mr. Sampanthan that the Indian government is pushing the Sri Lankan government to appoint Mr. Sampanthan as the Leader of the Opposition. Even Global Tamil Forum (GTF) in a statement pushed the idea of appointing Mr. Sampanthan. How would the UPFA voters read this development? In terms of their ideology, the majority of the UPFA voters are Nationalists. Therefore, it can be reasonably assumed that the UPFA voters would perceive Mr. Sampanthan factor as a threat to Nationalism. This would further polarised the society on ideological lines and will create counterproductive effects in terms of reconciling an ethnically divided post-war society. The move would further deepen the mistrust as it was an undemocratic and a forceful move against the majority will. Furthermore, the behaviour of the Prime Minister Mr. Ranil Wickremesinghe in the parliament when a pro-Rajapaksa MP Mr. Wimal Weerawansa expressed his displeasure over the appointment of Mr. Sampanthan may also be perceived by the UPFA voters as a threat against their will. This would also be counterproductive in terms of winning UPFA voters’ support for the proposed reconciliation process as this can hardened their hearts and minds against the Maithri-Ranil ‘Yahapalana’ government. The idea of initiating an inquiry (either international or domestic) into alleged war-crimes was not well received and perceived by the majority of the pro Nationalist Sri Lankan population. Brining the war-crime accountability issue forward ignited the flare of patriotic anger over international actors and Tamil diaspora as the majority ‘patriots’ hail the military victory over LTTE and see contributors to the victory as ‘heroes’. In fact, the pro Nationalist population’s response for the idea of an inquiry was to start a counter-campaign accusing international actors and Tamil diaspora for conspiring against Sri Lanka and its war heroes. The appointment of Mr. Sampanthan has created another complex environment in post-war Sri Lanka and contributed to further boiling up the level of patriotic quarters’ anger over international actors and Tamil Diaspora as well. The Sinhalese would perceive international actors and the Tamil diaspora also as conspirators who were behind this “international conspiracy”. Therefore, the manner that Mr. Sampanthan was appointed has contributed in further complexing the issue of the proposed domestic inquiry. Some comments on Twitter has already ‘labelled’ the intention behind the move as to facilitate the domestic inquiry by suppressing the opposition voice. In fact, the intention would have been different, yet perception also matters in politics. Opinions have already been expressed by pro-Nationalist politicians and opinion makers that the intended Constitutional reform would bring a kind of Federal model to Sri Lanka. We should not forget that the main promise of the TNA to its voters in the recent Parliamentary election was a Federal government. Therefore, the appointment of Mr. Sampanthan would be interpreted and portrayed against the said backdrop as a move to supress the opposition voice against a Federal system. 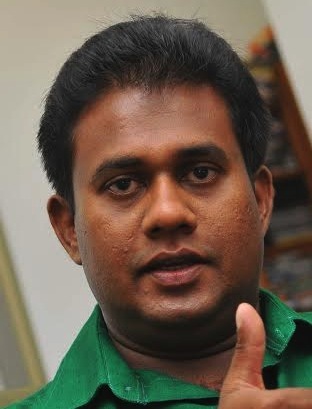 The argument is a convincing argument and has the ability even to antagonise Sri Lanka Freedom Party (SLFP) members (who are mainly Nationalist) against its leader President Sirisena in a context where he is aiming win SLFPers. 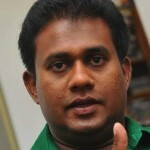 It was reported that the President Sirisena did not deliver the letter to the Speaker that was signed by the 57 UPFA opposition MPs nominating a different MP to the post of the Leader of the Opposition and the President Sirisena’s (in)action paved the way to appoint Mr. Sampanthan as the Leader of the Opposition. Therefore, the move would reduce President Sirisena’s capacity in persuading SLFPers to support Constitutional reforms as a referendum maybe required to approve the new Constitution. As it was stated, the move to appoint TNA leader Mr. R. Sampanthan as the Leader of the Opposition can generate counterproductive effects than it was originally assumed by quarters that promoted and supported the move. If it is the case, it was a wrong move. However, this is not to say that it has positive effects also. Yet, more important tasks laid before Maithri-Ranil government would suffer as a result of Mr. Sampanthan’s appointment.